Diane Abbott opens her mouth Again! 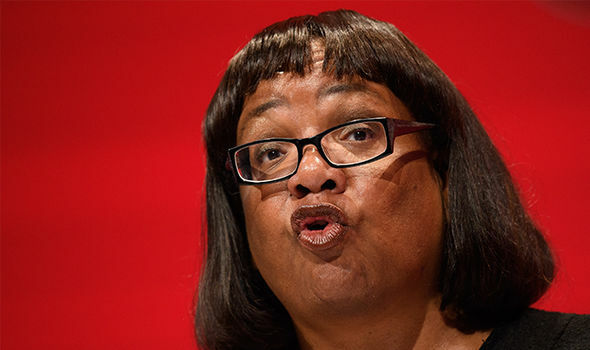 Diane Abbott has sparked fury with her recent reports on Immigration whereby she wants to see numbers significantly increased from what they currently are. She says trying to have immigration at the sensible level of under 100,000 per year is impossible and the target should be scrapped. Her latest comments however are set to cause even more outrage. In her most recent speech Abbott has likened everyday public concerns over immigration to that of Nazi Germany! Her analogy is that during times of economic downturn people will scapegoat minority groups like the Germans and Nazis did to Jews in the 1930's. She is implying that what British people are doing to immigrants is the same! Sensible politicians were quick to condemn these hysterical remarks and have argued that by trying to silence the debate on Mass Immigration she is ignoring the will of the majority of British People. She spoke out against the recent decision by the BBC to broadcast Enoch Powell's famous speech on immigration ans she said she remembered at the time after the speech she felt 'uncomfortable' even tho she was barely old enough to realise what was being said! Do you think Diane Abbott talks Garbage? Read: "TV license fee to INCREASE even further this April"